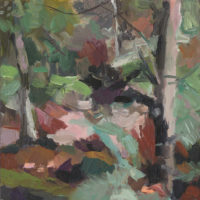 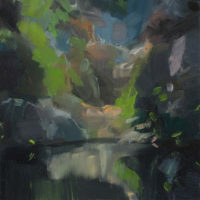 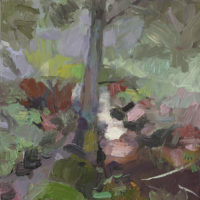 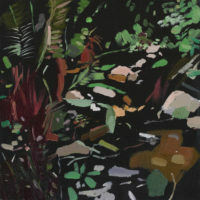 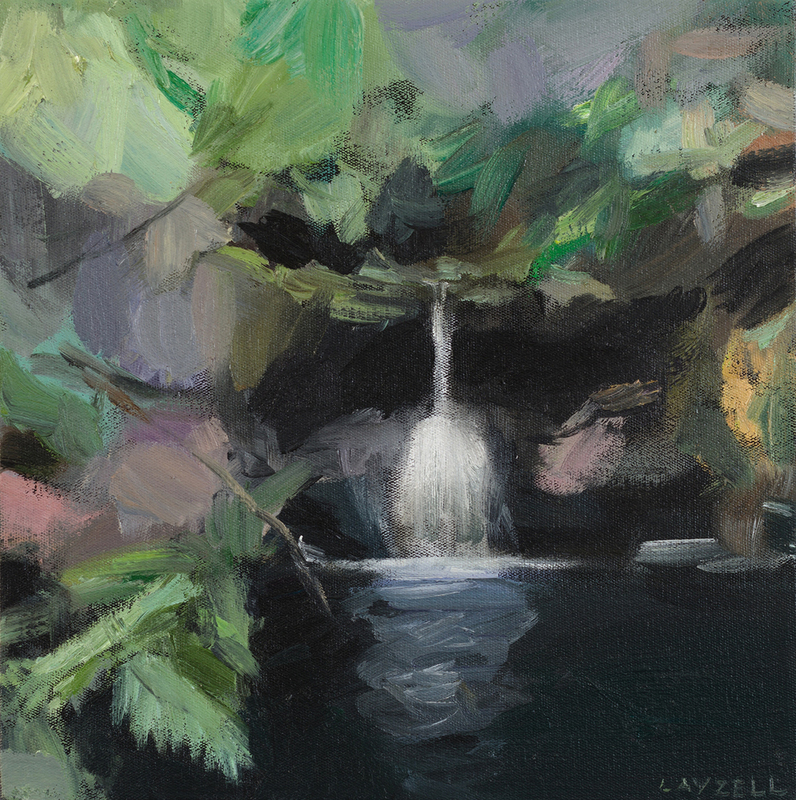 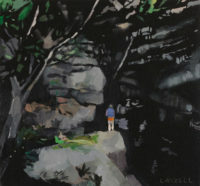 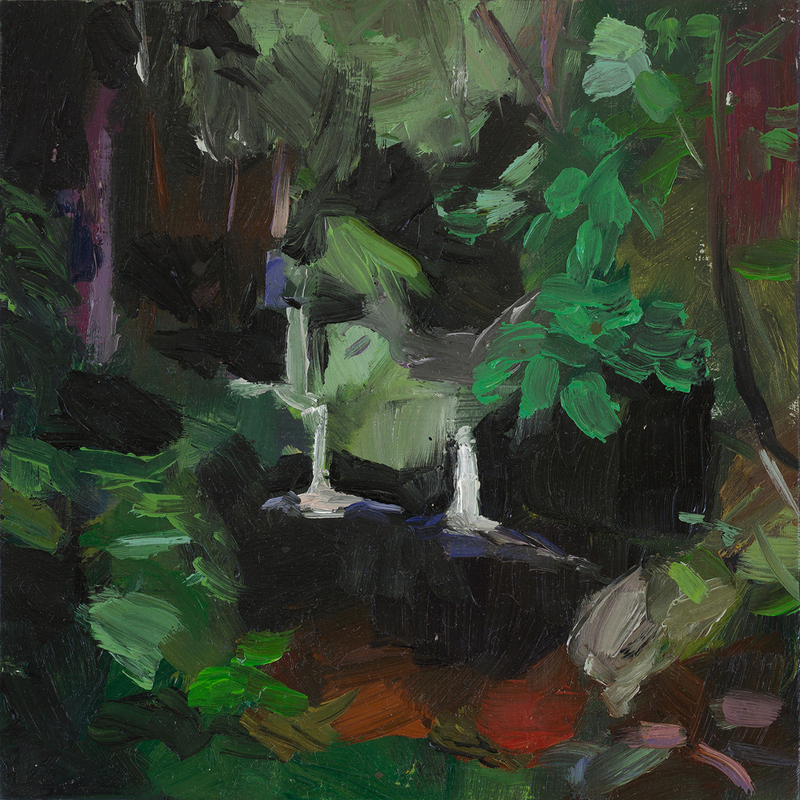 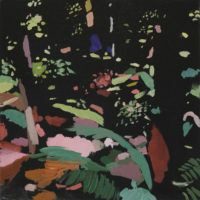 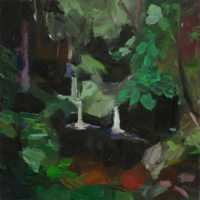 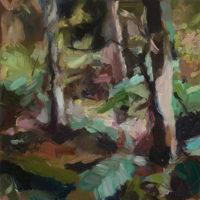 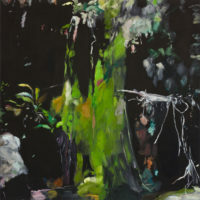 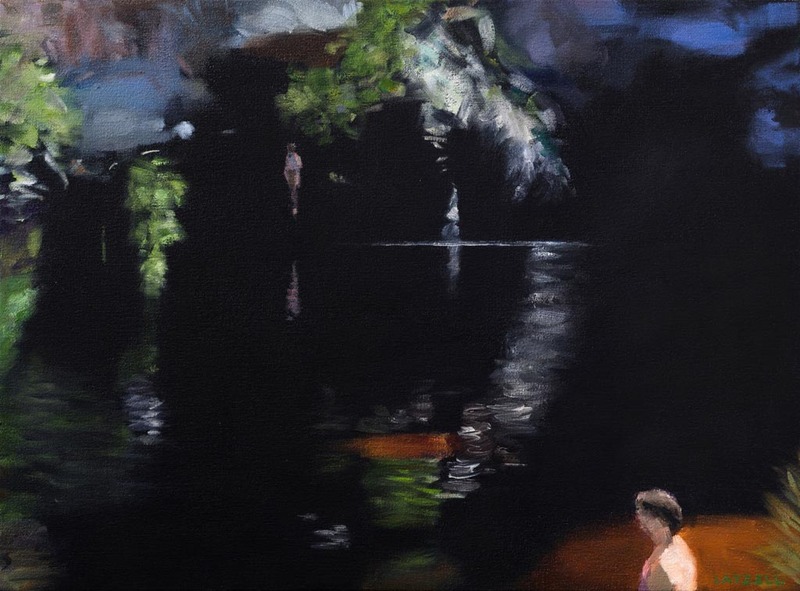 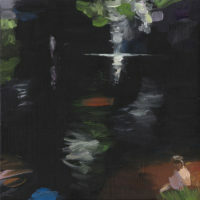 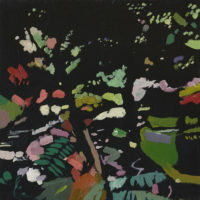 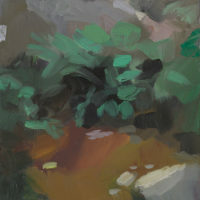 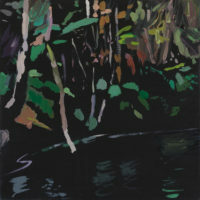 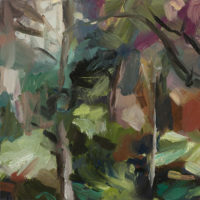 A solo exhibition of paintings by Cathy Layzell. 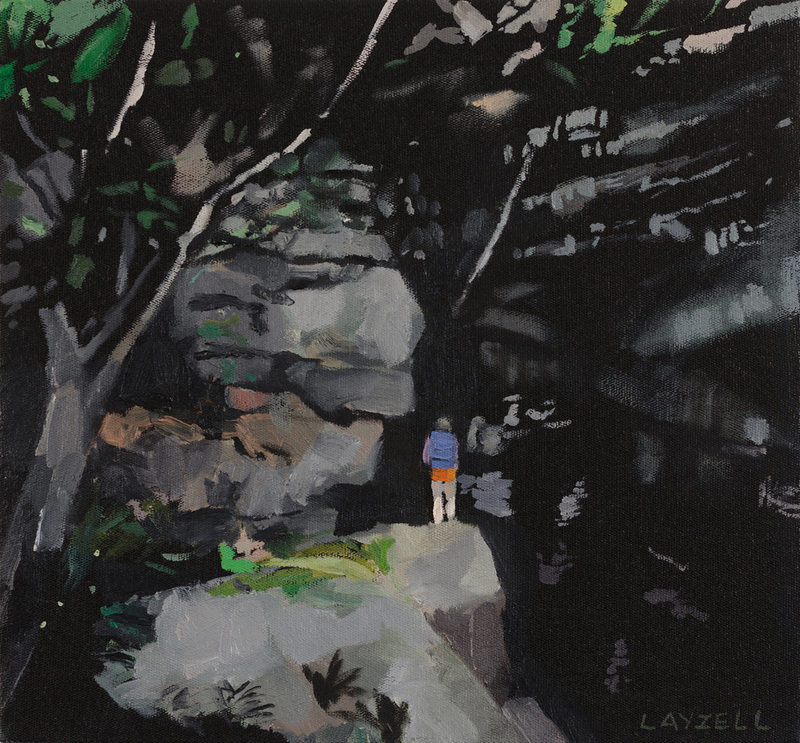 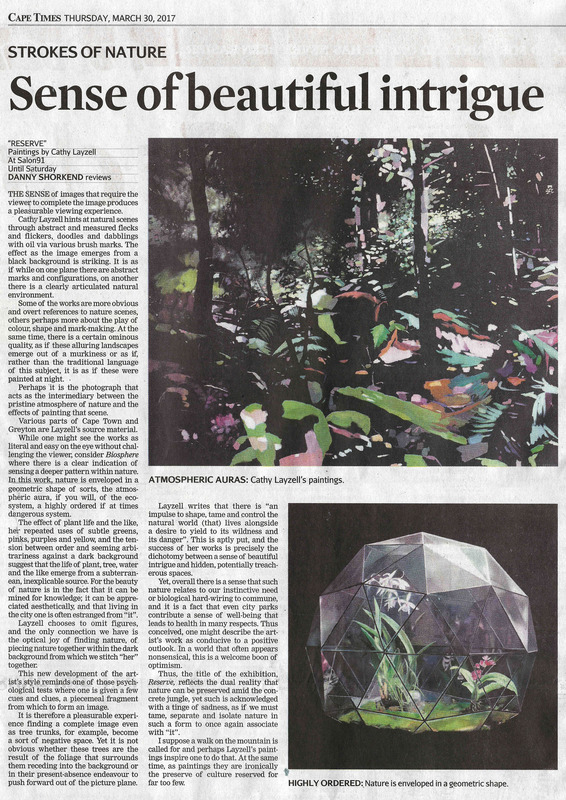 Working in a gestural and abstract style, Cathy Layzell investigates humankind’s complex evolving relationship to nature, where an impulse to shape, tame and control the natural world lives alongside a desire to yield to its wildness and its danger. 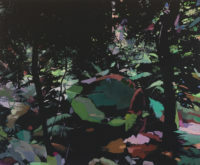 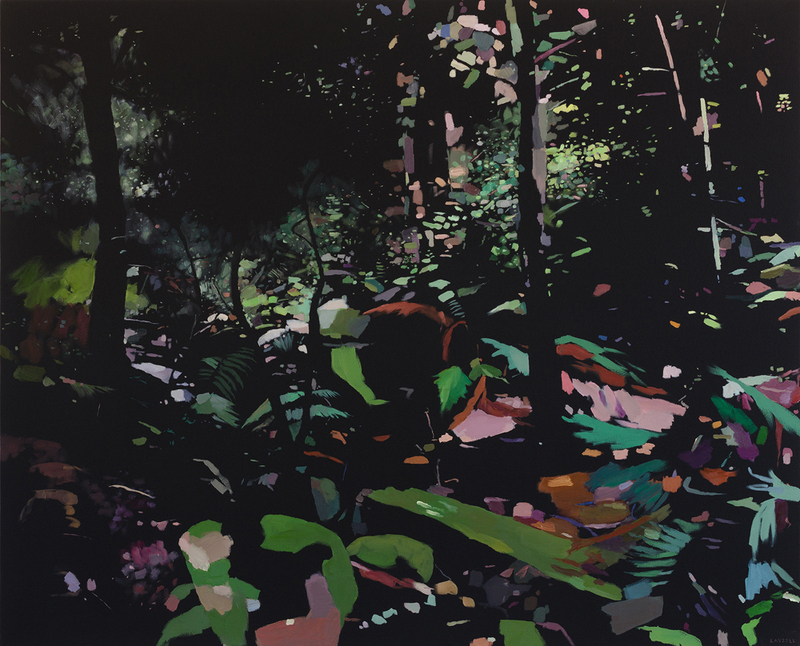 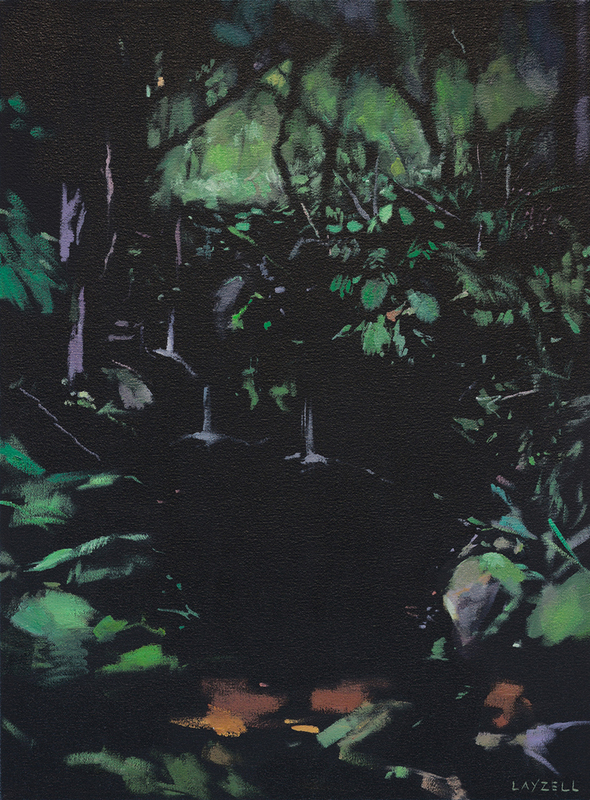 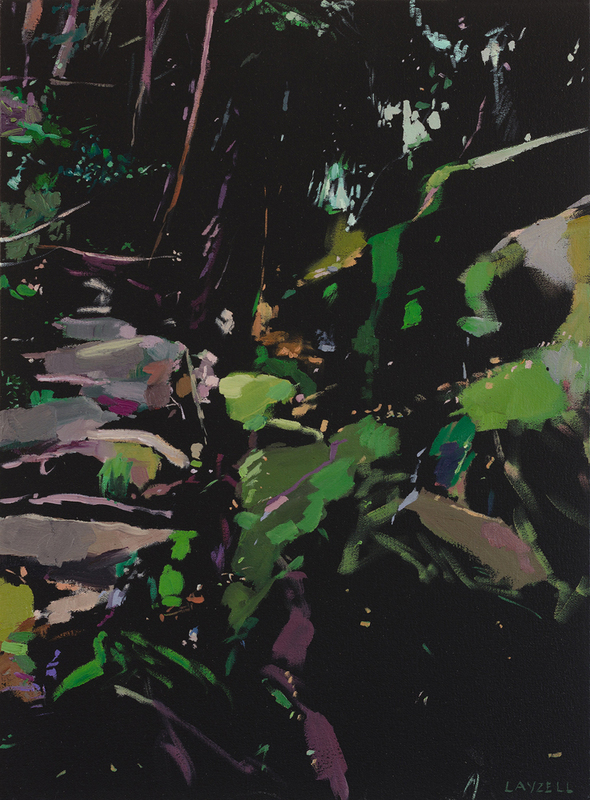 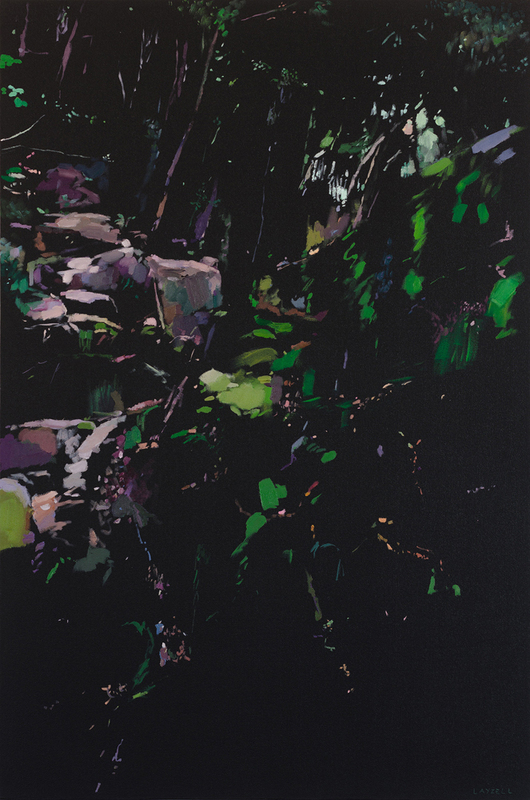 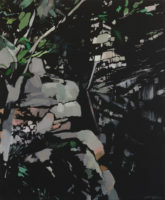 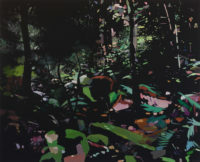 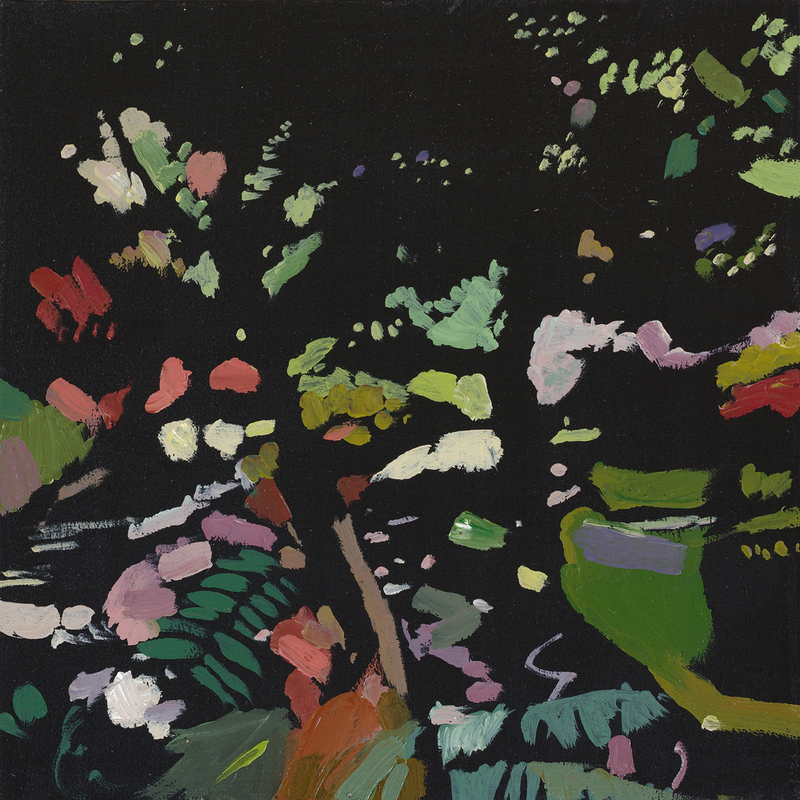 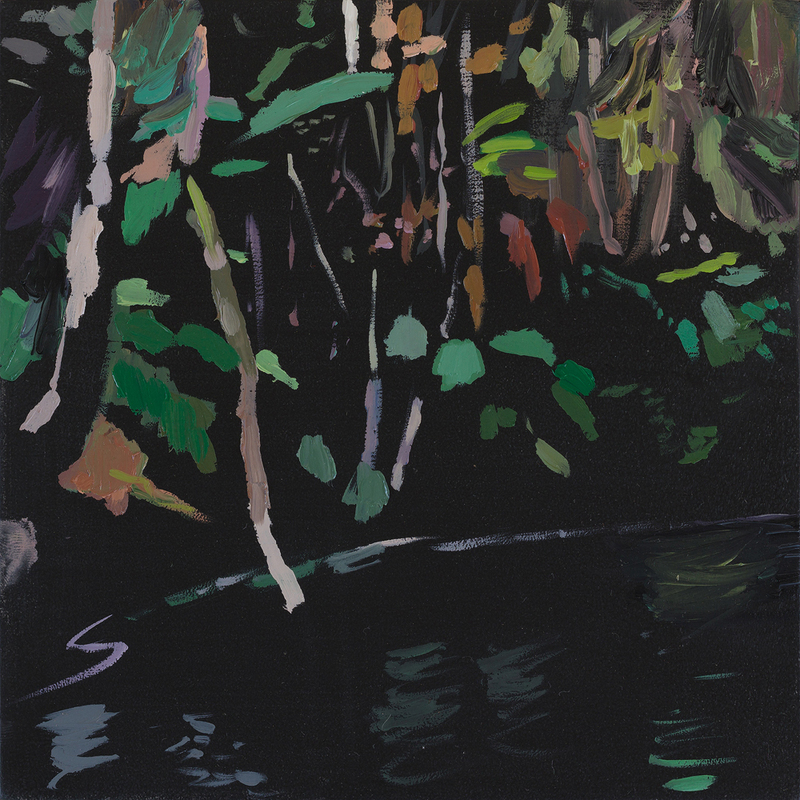 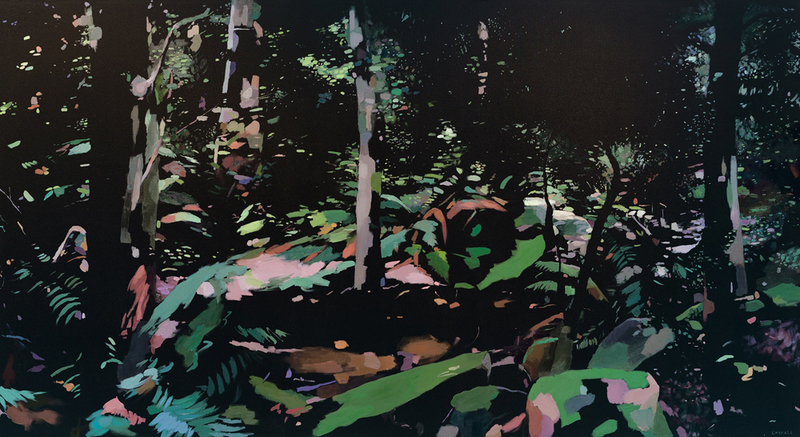 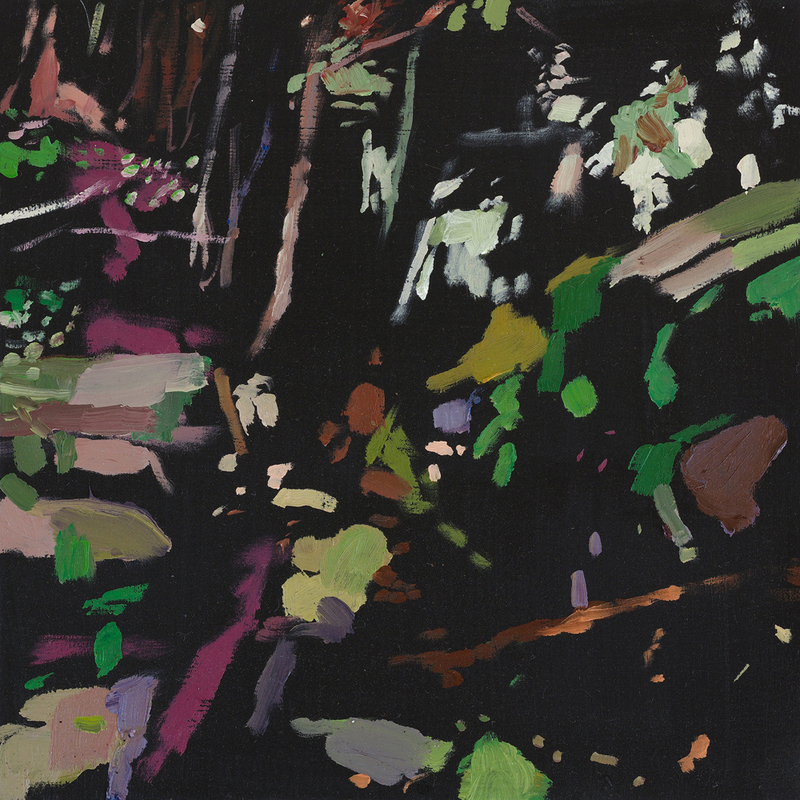 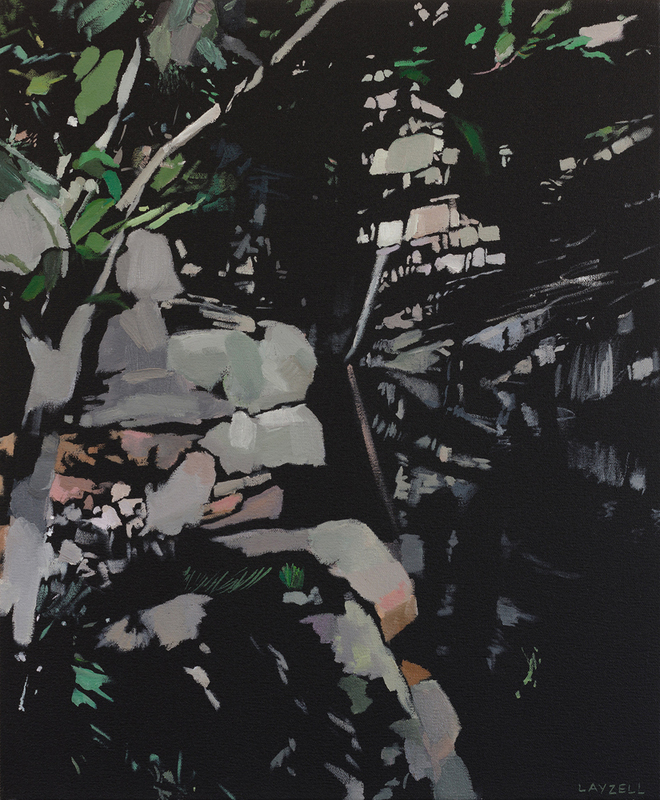 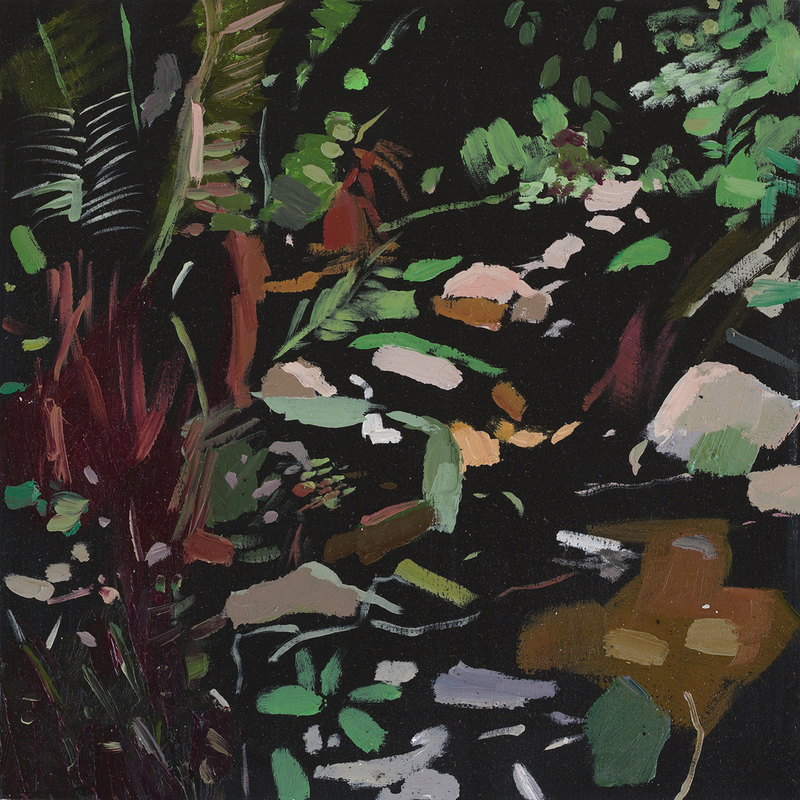 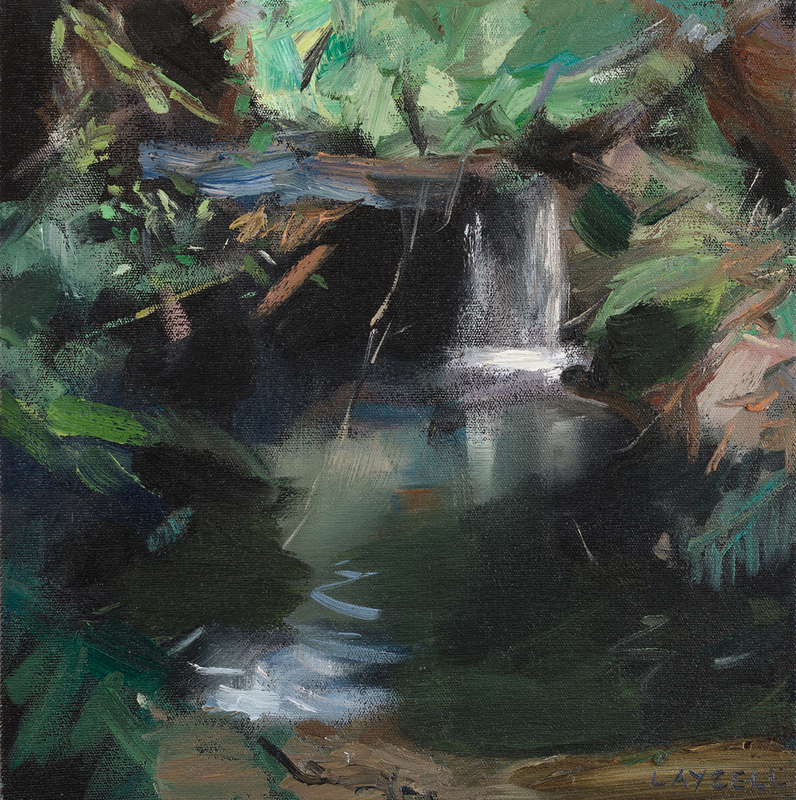 At close range, these paintings constructed from the textures of nature – rock, foliage, air, and water, appear nearly abstract – a dancing network of innumerable brushstrokes, some parallel, others looser and more rapidly applied. Stepping back, these varied marks coalesce into the shimmering effects of an illusionary light. 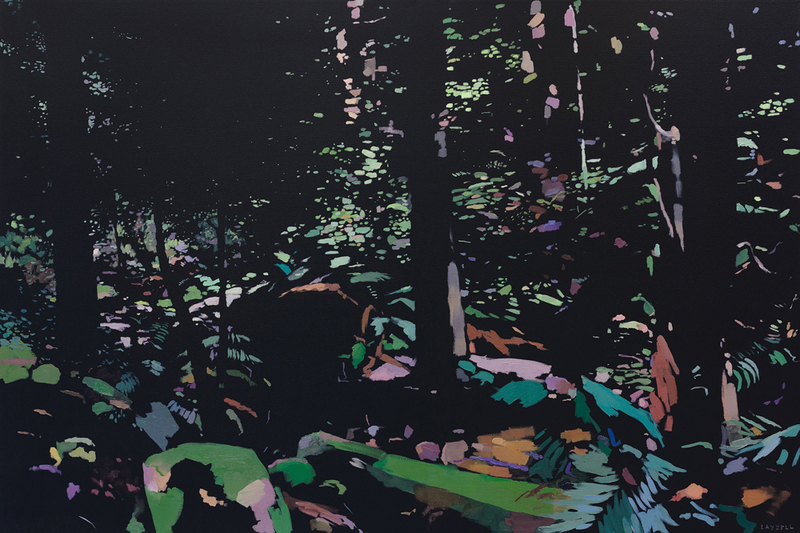 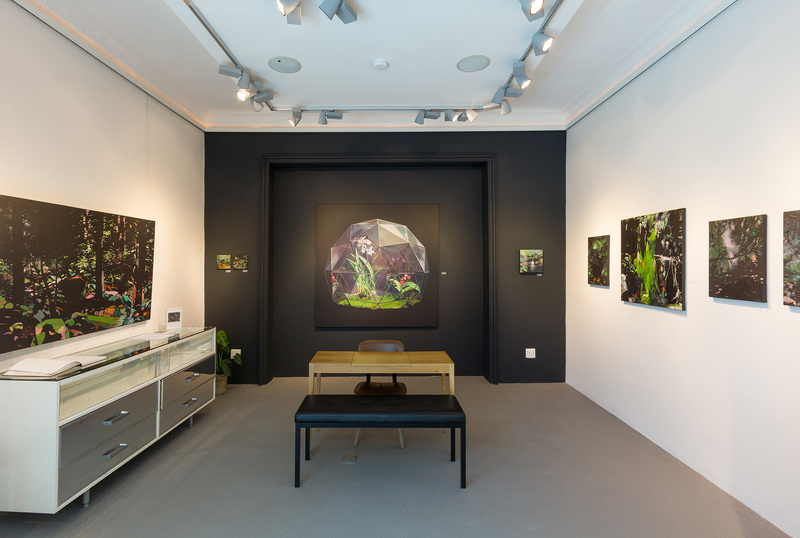 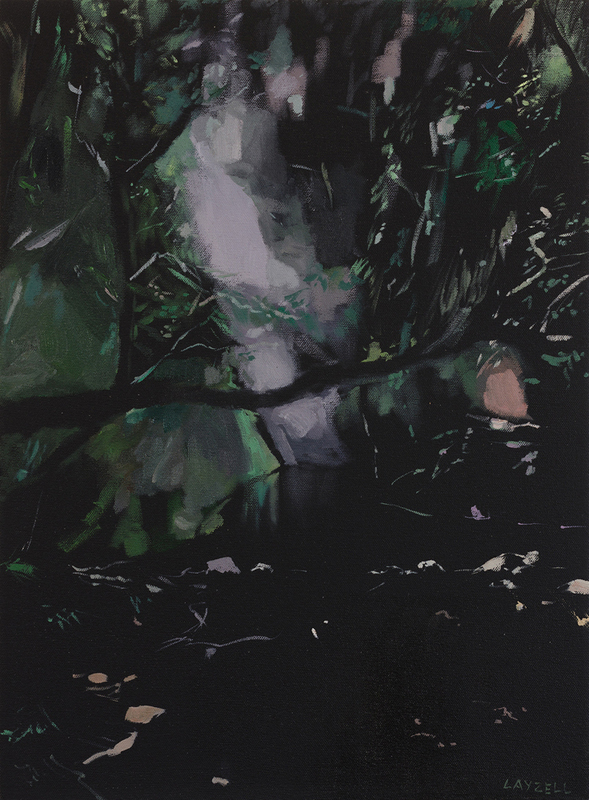 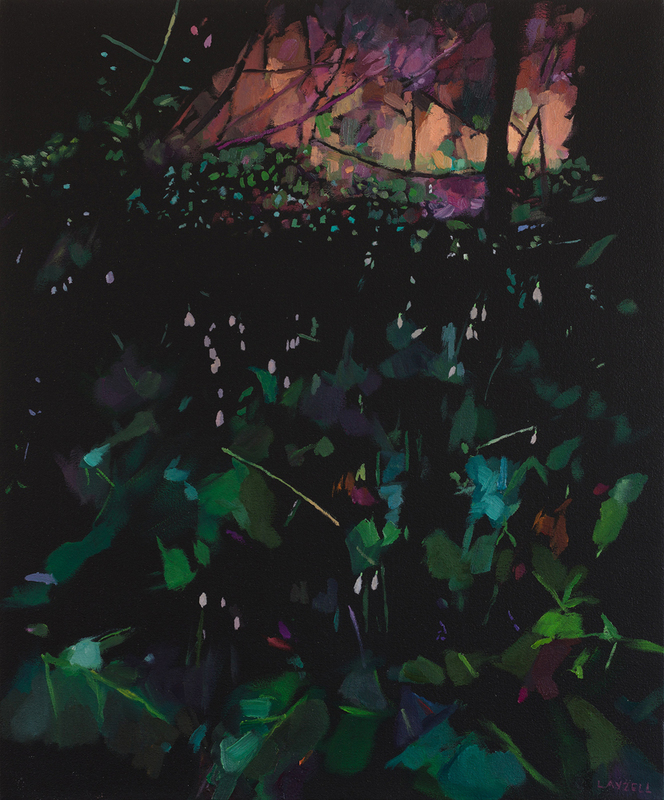 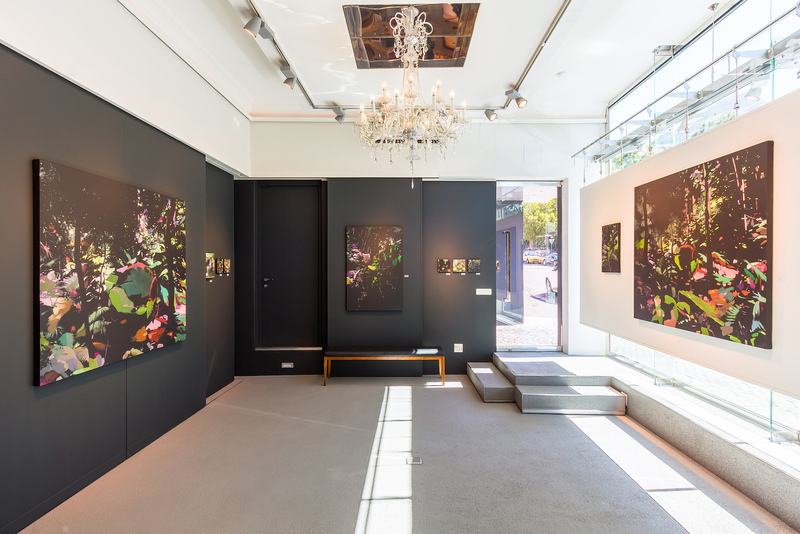 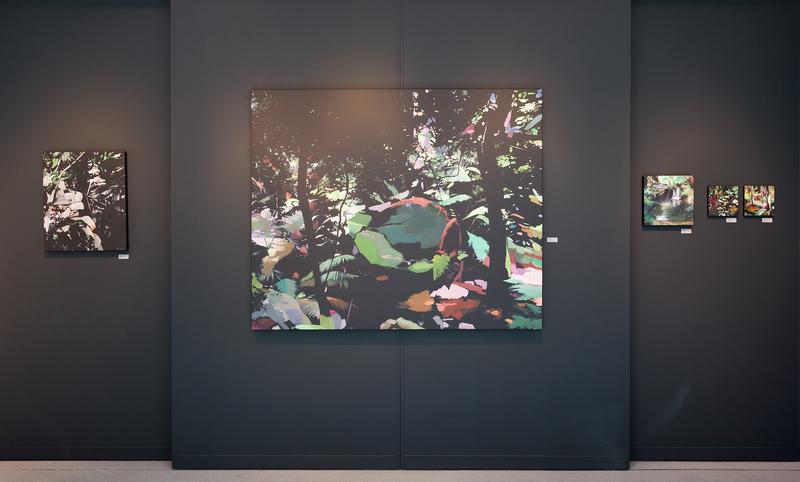 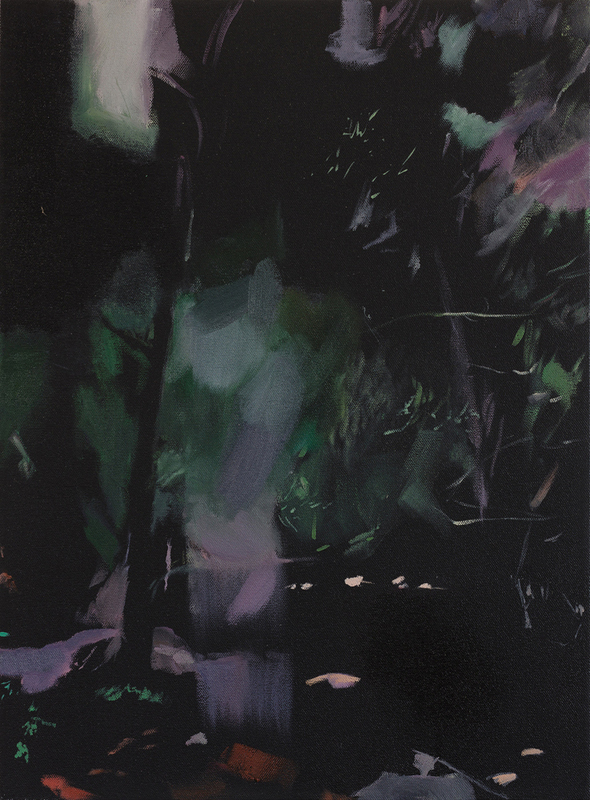 The paintings explore the blurred boundaries between Nature and artifice and how visual-processing systems shape our feelings about what we see. With the disappearance of most of our primeval forests we have left only what are called, oxymoronically, wilderness ‘parks’ or ‘reserves’. 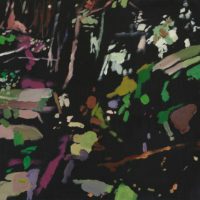 Reserves are intended to conserve nature in a representative way and to sustain biodiversity. 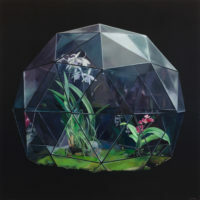 But the reality is that they are increasingly relics of how ecosystems looked before humans became dominant. 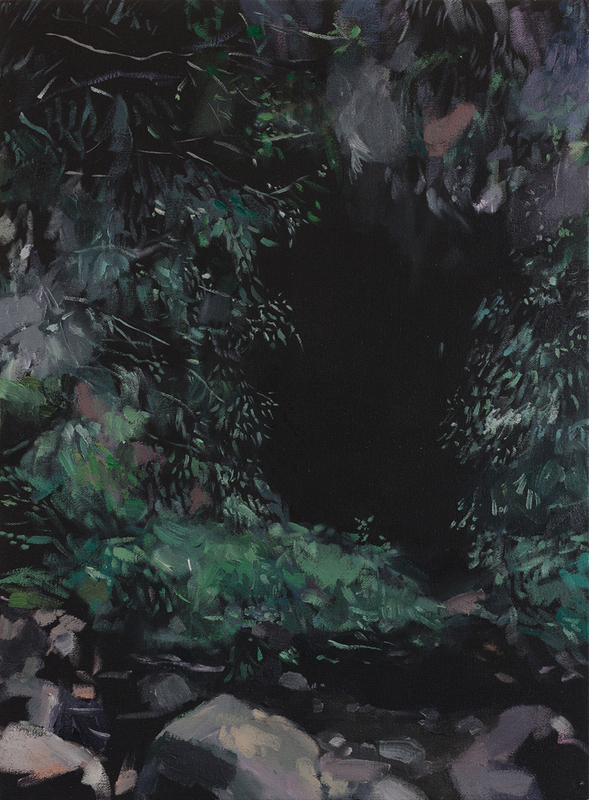 This body of work explores the vestigial primal link we still feel towards a wilderness that hardly exists anymore.